My brother and dad got me into ice hockey. They did this by signing me up for a hockey season. I really enjoyed that first season because I had like 30 goals. I also enjoyed the first season because I got a lot of new friends. I was about 9 when I got into hockey, but before that I was into soccer. I got out of soccer because the last season I played I got like one goal and I really didn’t like soccer anymore either way. I started with roller hockey, but then the roller hockey rink closed we had to move to ice hockey. I have been on a travel ice hockey team 3 years in a row, before that I wasn’t into hockey as much I am now days. Before and after games our coaches tell us to get rest and don’t play around. They say this because the travel teams that I play on are very serious since they cost a fortune. Also the coaches are like this because the people on travel teams are very serious about hockey and spend a lot of their time playing hockey. I am a lot better than when I started playing ice hockey because I have years of experience. 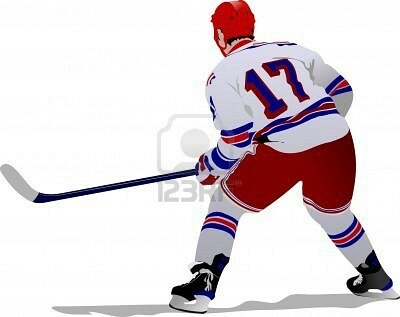 It takes years of experience to be good at playing hockey and I have those years of experience and that is why I am good at playing ice hockey. People who play house, which is a league for people that have just started or for people that aren’t as into hockey as I am.